Cameron Dunlap has spent enough time working with airplane simulators that he bets he could land a plane himself. He jokes about it to his dad, who had a pilot’s license, and to his grandfather, who worked on an aircraft. While Dunlap has a relatively easy time coming to terms with the fact that he won’t be a pilot one day, he doesn’t dwell on the things he can’t do. 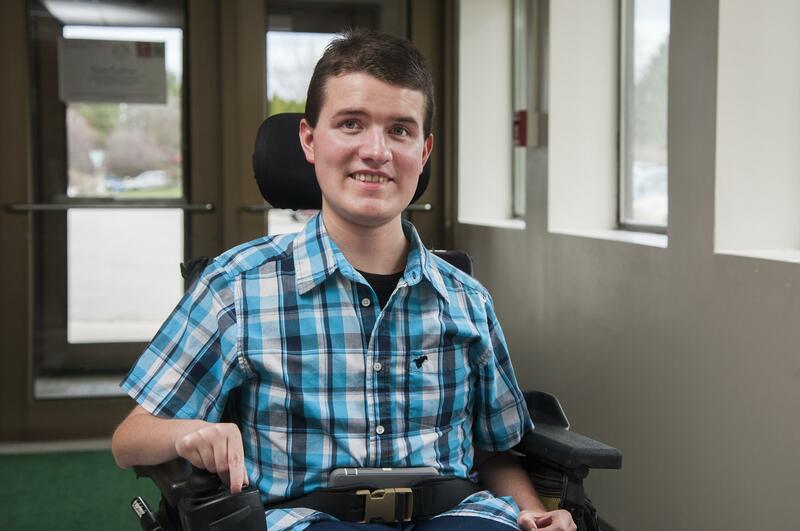 Dunlap was diagnosed with Duchenne’s muscular dystrophy at the age of 5, and by 7, he couldn’t walk. As he gets older, he adapts to muscle atrophy, and the list of activities he can participate in steadily dwindles. That did not stop him from winning a congressional art award from Rep. Cathy McMorris Rodgers for a drawing of a radio-control plane that once hung in her office. Or from snapping a photo with his remote camera of an old, abandoned car that his photography teacher cherishes and now hangs in his room. This graduation season, Dunlap will receive his diploma from East Valley High School – an accomplishment the Dunlap family did not always envision with certainty. When Tammie Dunlap thinks about her son graduating from high school, she feels a mix of emotions. Dunlap maneuvers his physical life with a joystick placed in his right hand, controlling a powerful motorized wheelchair. With the autonomy to zip around at the flick of a wrist, and even run over feet, he wields the potential to make someone pay for busting his chops. His mom offers that he’s never purposely targeted feet with his chair. Dunlap’s confident yet gentle presence can warm a room.